Astra Carpets have just completed a refurbishment of the flooring section of their Derby Showroom in Osmaston Road. We now have improved displays of all the leading flooring types and many examples have been fitted to the floor to give customers a better idea of how they will look on their floor. The Astra Carpets and Flooring showroom now has one of the best displays of hard flooring in Derby. The new displays show the full ranges of Luxury vinyl tiles (LVTs) from Karndean, Project Floors, and Moduleo. Examples of all these outstanding LVT products are also displayed on the floor. Astra also have displays of quality laminate flooring, and the showroom contains the very latest display from Quick Step showing the complete range of their innovative wood style flooring. Several of the latest designs are featured on the floor. For those wanting Real Wood Floors the showroom includes displays of both engineered and real wood samples. There has never been so much choice in hard flooring, and the possibilities are endless. 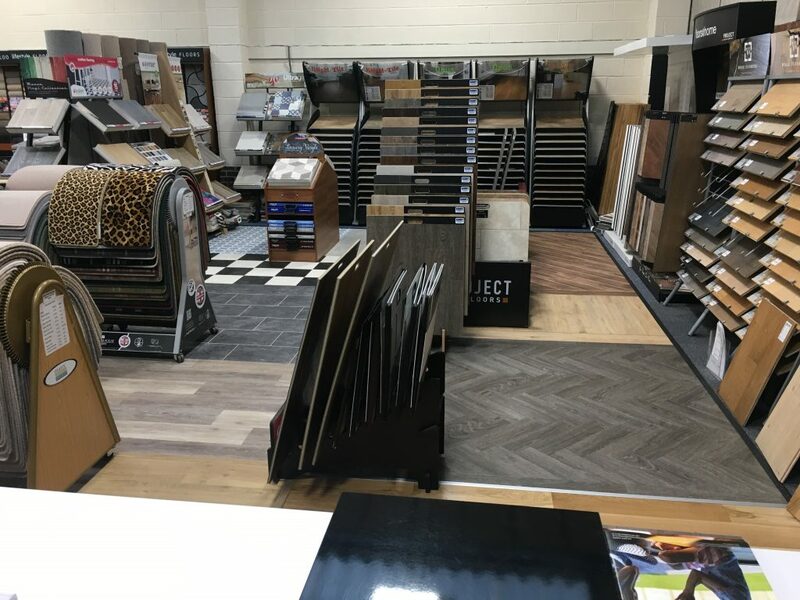 The displays in Astra Carpet & Flooring’s refurbished hard flooring showroom will show you all these possibilities, and our experienced sales people are also on hand to give expert advice.